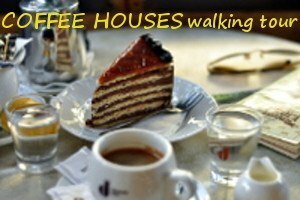 Several traditional Hungarian dishes are great explanations for the meaning of “comfort food”. As November just started, we are all going to feel the sensation of these fabulous dishes during the winter season. Cooking slowly and simply, we appreciate the tastes, the nostalgia, and the combination of flavors, what they bring into our house. 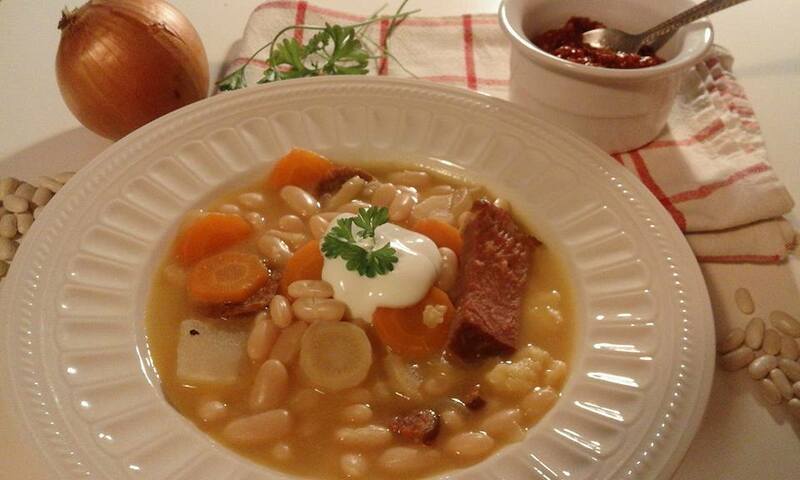 The famous Bean Soup a la Jókai, is one of the most popular comfort food in Hungary. 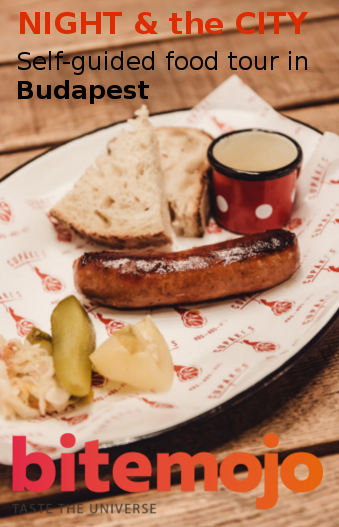 It is made with sausages, smoked trotters, noodles (csipetke), and sour cream, and it preserves the name of the famous Hungarian writer, Jókai Mór. Jókai Mór‘s favorite bean soup though, is not even close to what we eat today. The writer was a legendary fan of gastronomy, many of his novels contain recipes and eating habits of his era. He highly appreciated the bean soup from a restaurant in Balatonfüred, that he ordered accompanying boiled pig trotters with nails. This special dish was often prepared in his home by his mother and wife. The original version of “pig nails with bean” did not contain any vegetables, or sour cream, or noodles, but only big-eyed beans, pig nails and roux with paprika (source: Fűszerpaprika kisokos, origo.hu). 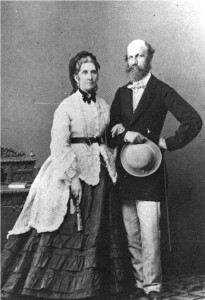 The bean soup that bears the name of the writer, was first published in Gundel Károly’s Small Hungarian Cookbook in 1937, and it already contained vegetables and sour cream, trotters and sausages. Today, restaurants and cookbooks all have their own versions of the “bean soup a la Jókai“. It transformed during the years, but it is arguably one of the emblematic dishes of the Hungarian kitchen. 30 dkg/0,7 lbs dried bean (large beans are better for this soup, like scarlet runner). To prepare the bean for the next day, place it in a pot and cover it with at least double amount of water, and let it rest during the night. Place the spare ribs with 2,5 litres of water on the stove in a big pot. There is no need to add salt, as the meat is already salty. When the meat is tender, add the bean, bay leaves, garlic cloves, cleaned and diced vegetables and the sausages. When the bean is almost ready, add the csipetke or noodles, and cook the soup further. When everything is tender, prepare the roux with the oil/lard and 2 table spoons of flour: heat the lard and add the small diced onion and flour, mix it well, and saute until light brown. Take the roux off the fire, add the paprika, and some cold water, and add the mixture to the soup through a drainer. The other 2 tablespoons of flour mix with the sour cream, add a bit of the soup to the mixture, and then pour it into the pot. If needed add more water, or salt or pepper and boil at least for another 10 minutes, until the flour taste is gone. I like to add a bit of spicy paprika as well (ex. Erős Pista – spicy Hungarian mashes paprika sauce). The smoked meat you can eat it with the soup, or after the soup with some bread and mustard, and spicy beetroot. 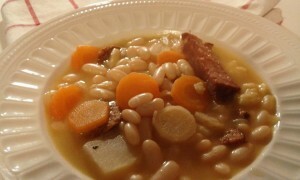 This entry was posted in Blog and tagged bean soup a la Jókai, Hungarian food, Hungarian soups, soup, traditional food. Bookmark the permalink.